This article is about the Pakistani province of Punjab. For the geographical region, see Punjab. For other uses of the name, see Punjab (disambiguation). 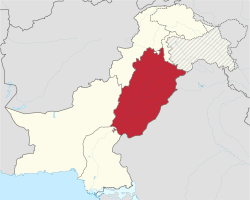 Punjab (Urdu, Punjabi: پنجاب, panj-āb, "five waters": listen (help·info)) is Pakistan's second largest province by area, after Balochistan, and it is the most populated province, with an estimated population of 110,012,442 as of 2017. Forming the bulk of the transnational Punjab region, it is bordered by the Pakistan provinces of Sindh, Balochistan, and Khyber Pakhtunkhwa, the enclave of Islamabad, and Azad Kashmir. It also shares borders with the Indian states of Punjab, Rajasthan and Jammu and Kashmir. The provincial capital of Punjab is the city Lahore, a cultural, historical, economic and cosmopolitan centre of Pakistan where the country's cinema industry, and much of its fashion industry, are based. Punjab has been inhabited since ancient times. The Indus Valley Civilization, dating to 2600 BCE, was first discovered at Harappa. Punjab features heavily in the Hindu epic poem, the Mahabharata, and is home to Taxila, site of what is considered by many to be the oldest university in the world. In 326 BCE, Alexander the Great defeated King Porus at the Battle of the Hydaspes near Mong, Punjab. The Umayyad empire conquered Punjab in the 8th century CE. In the subsequent centuries, Punjab was invaded and conquered by the Ghaznavids, Ghurids, Delhi Sultanate, Mughals, Durranis and the Sikhs. Punjab reached the height of its splendour during the reign of the Mughal Empire, which for a time ruled from Lahore. During the 18th century, Nader Shah’s invasion of the Mughal Empire caused Mughal authority in the Punjab to fall apart and it thus fell into chaos. The Durranis under Ahmad Shah Durrani wrested control of Punjab only to lose it to the Sikhs after a successful rebellion which allowed Sikh armies to claim Lahore in 1759. The Sikh Empire was ruled by Ranjit Singh with his capital based in Lahore, until its defeat by the British. Punjab was central to the independence movements of both India and Pakistan, with Lahore being site of both the Declaration of Indian Independence, and the resolution calling for the establishment of Pakistan. 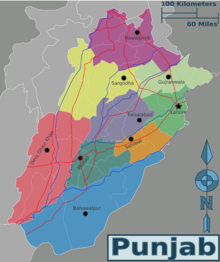 The province was formed when the Punjab province of British India was divided along religious boundaries in 1947 by the Radcliffe Line after Partition. Punjab is Pakistan's most industrialised province with the industrial sector making up 24% of the province's gross domestic product. Punjab is known in Pakistan for its relative prosperity, and has the lowest rate of poverty amongst all Pakistani provinces. A clear divide is present between the northern and southern portions of the province; with poverty rates in prosperous northern Punjab amongst the lowest in Pakistan, while some in south Punjab are amongst the most impoverished. Punjab is also one of South Asia's most urbanized regions with approximately 40% of people living in urban areas. Its human development index rankings are high relative to the rest of Pakistan. Punjab is known in Pakistan for its relatively liberal social attitudes. The province has been strongly influenced by Sufism, with numerous Sufi shrines spread across Punjab which attract millions of devotees annually. The founder of the Sikh faith, Guru Nanak, was born in the Punjab town of Nankana Sahib near Lahore. Punjab is also the site of the Katasraj Temple, which features prominently in Hindu mythology. Several UNESCO World Heritage Sites are located in Punjab, including the Shalimar Gardens, the Lahore Fort, the archeological excavations at Taxila, and the Rohtas Fort. The region was originally called Sapta Sindhu, the Vedic land of the seven rivers flowing into the ocean. 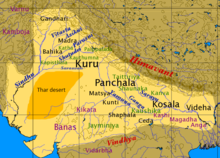 The Sanskrit name for the region, as mentioned in the Ramayana and Mahabharata for example, was Panchanada which means "Land of the Five Rivers", and was translated to Persian as Punjab after the Muslim conquests. The region was known to the Greeks as Pentapotamia, meaning the region of five rivers. The word Punjab was formally introduced in the early 17th century CE as an elision of the Persian words panj (five) and āb (water), thus meaning the (land of) five rivers, similar in meaning to the Sanskrit and Greek name for the region. The five rivers, namely Chenab, Jhelum, Ravi, Beas and Sutlej, flow via the Panjnad River into the Indus River and eventually into the Arabian Sea. Of the five great rivers of Punjab, four course through Pakistan's Punjab province. Due to its location, the Punjab region came under constant attack and witnessed centuries of foreign invasions by the Persians, Greeks, Kushans, Scythians, Turks and Afghans. The northwestern part of South Asia, including Punjab, was repeatedly invaded or conquered by various foreign empires, including those of Tamerlane, Alexander the Great, and Genghis Khan. The oldest evidence of life in Pakistan has been found in Soan River valley. It was here that some of the earliest signs of humans have been discovered during the excavations of prehistoric mounds. Tools up to two million years old have been recovered in potohar plateau. In the Soan River, many fossil bearing rocks are exposed on the surface. 14 million year old fossils of gazelle, rhinoceros, crocodile, giraffe and rodents have been found there. Punjab during Mahabharata times was known as Panchanada. Punjab was part of the Indus Valley Civilization, more than 4000 years ago. The main site in Punjab was the city of Harrapa. The Indus Valley Civilization spanned much of what is today Pakistan and eventually evolved into the Indo-Aryan civilization. The Vedic civilisation flourished along the length of the Indus River. This civilization shaped subsequent cultures in South Asia and Afghanistan. Although the archaeological site at Harappa was partially damaged in 1857 when engineers constructing the Lahore-Multan railroad used brick from the Harappa ruins for track ballast, an abundance of artefacts have nevertheless been found. Punjab was part of the great ancient empires including the Gandhara Mahajanapadas, Achaemenids, Macedonians, Mauryas, Kushans, Guptas and Hindu Shahi. It also comprised the Gujar empire for a period of time, otherwise known as the Gurjara-Pratihara empire. Agriculture flourished and trading cities (such as Multan and Lahore) grew in wealth. The city of Taxila, founded around 1000 BCE, was reputed to house the oldest university in the world, Taxila University. One of the teachers was the great Vedic thinker and politician Chanakya. Taxila was a great centre of learning and intellectual discussion during the Maurya Empire. It is a UN World Heritage site, valued for its archaeological and religious history. Gandhāra was an ancient kingdom situated in the northwestern region of Pakistan, in the Peshawar valley and Potohar plateau with its capital at Taxila.Gandhara existed since the time of the Rigveda (c. 1500–1200 BC), as well as the Zoroastrian Avesta, which mentions it as Vaēkərəta, the sixth most beautiful place on earth, created by Ahura Mazda. Gandhara was conquered by the Achaemenid Empire in the 6th century BC. Conquered by Alexander the Great in 327 BC, it subsequently became part of the Maurya Empire and then the Indo-Greek Kingdom.The name of the Gandhāris is attested in the Rigveda (RV 1.126.7) and in ancient inscriptions dating back to Achaemenid Persia.The primary cities of Gandhara were Puruṣapura (Peshawar), Takṣaśilā (Taxila), and Pushkalavati (Charsadda). Gandhara's language was a Prakrit or "Middle Indo-Aryan" dialect, usually called Gāndhārī. The language used the Kharosthi script, which died out about the 4th century. However, Punjabi, Kohistani, and Hindko are derived from the Indo-Aryan Prakrits that were spoken in Gandhara and surrounding areas. The Parthian dynasty fell about 75 to another group from Central Asia. The Kushans, moved from Central Asia to Bactria, where they stayed for a century. Around 75, one of their tribes, the Kushan (Kuṣāṇa), under the leadership of Kujula Kadphises gained control of Gandhara and other parts of what is now Pakistan.The Kushan period is considered the Golden Period of Gandhara. Gandhara's culture peaked during the reign of the great Kushan king Kanishka the Great (128–151). The cities of Taxila (Takṣaśilā) at Sirsukh and Peshawar were built.Kanishka was a great patron of the Buddhist faith; Buddhism spread to Central Asia and the Far East across Bactria and Sogdia, where his empire met the Han Empire of China. Buddhist art spread from Gandhara to other parts of Asia. Under Kanishka, Gandhara became a holy land of Buddhism and attracted Chinese pilgrims eager to view the monuments associated with many Jatakas.The Hephthalite Huns captured Gandhara around 451, and did not adopt Buddhism, but in fact "perpetrated frightful massacres." Mihirakula became a "terrible persecutor" of the Buddhist religion. During their rule, Hinduism revived itself and the Buddhist Gandharan civilization declined. The Achaemenid Persian empire included Pujab west of the Indus. Having conquered Drangiana, Arachosia, Gedrosia and Seistan in ten days, Alexander the Great (locally known as 'Iskander') crossed the Hindu Kush and was thus fully informed of the magnificence of the country and its riches in gold, gems and pearls. However, Alexander had to encounter and reduce the tribes on the border of Punjab before entering the luxuriant plains. Having taken a northeasterly direction, he marched against the Aspii (mountaineers), who offered vigorous resistance, but were subdued. Alexander then marched through Ghazni, blockaded Magassa, and then marched to Ora and Bazira. Turning to the northeast, Alexander marched to Pucela, the capital of the district now known as Pakhli. He entered Western Punjab, where the ancient city of Nysa (at the site of modern-day Mong) was situated. A coalition was formed against Alexander by the Cathians, the people of Multan, who were very skilful in war. Alexander invested many troops, eventually killing seventeen thousand Cathians in this battle, and the city of Sagala (present-day Sialkot) was razed to the ground. Alexander left Punjab in 326 B.C. and took his army to the heartlands of his empire. The Indo-Greek Kingdom or Graeco-Indian Kingdom was a Hellenistic kingdom covering most of the Punjab.The kingdom was founded when the Graeco-Bactrian king Demetrius invaded the subcontinent early in the 2nd century BC.The city of Sirkap founded by Demetrius combines Greek and Indian influences without signs of segregation between the two cultures. The most famous Indo-Greek ruler was Menander (Milinda).He had his capital at Sakala in the Punjab (present-day Sialkot).The Indo-Greeks were involved with local faiths, particularly with Buddhism, but also with Hinduism'.Buddhism flourished under the Indo-Greek kings, and their rule, especially that of Menander, has been remembered as benevolent. The Indo-Scythian king Maues invaded Indo-Greek territories in Punjab and established an Indo-Scythian empire. Maues first conquered Gandhara and Taxila around 80 BCE, but his kingdom disintegrated after his death. The Indo-Scythians ultimately established a kingdom in the northwest south Asia, based near Taxila, with two great Satraps, one in Mathura in the east, and one in Surastrene (Gujarat) in the southwest. The Indo-Scythians seem to have been followers of Buddhism, and many of their practices apparently continued those of the Indo-Greeks. The Indo-Parthian Kingdom was ruled by the Gondopharid dynasty with its capital at Taxila, Punjab. Gondophares, founder of Indo Parthia kingdom, was a ruler of Seistan in what is today eastern Iran, probably a vassal or relative of the Apracarajas. Around 20–10 BCE, he made conquests in the former Indo-Scythian kingdom, perhaps after the death of the important ruler Azes. Gondophares became the ruler of areas comprising Arachosia, Seistan, Sindh, Punjab, and the Kabul valley. The temple of Jandial, Taxila is usually interpreted as a Zoroastrian fire temple from the period of the Indo-Parthians. The Sultan is to the right, shaking the hand of the sheykh, with Ayaz standing behind him. Mahmud of Ghazni appointed Malik Ayaz as the ruler of Lahore, Punjab during the Ghaznavid era. The Punjabis followed a diverse plethora of faiths, mainly comprising Hinduism, when the Muslim Umayyad army led by Muhammad bin Qasim conquered Sindh and Southern Punjab in 712, by defeating Raja Dahir. The Umayyad Caliphate was the second Arab, Islamic caliphate established after the death of Muhammad. It was ruled by the Umayyad dynasty, whose name derives from Umayya ibn Abd Shams, the great-grandfather of the first Umayyad caliph. Although the Umayyad family originally came from the city of Mecca, their capital was Damascus. Muhammad bin Qasim was the first to bring message of Islam to the population of Punjab. Punjab was part of different Muslim Empires consisting of Afghans and Turkic peoples in co-operation with local Punjabi tribes and others. In the 11th century, during the reign of Mahmud of Ghazni, the province became an important centre, with Lahore as its second capital of the Ghaznavid Empire based out of Afghanistan. The Punjab region became predominantly Muslim due to missionary Sufi saints whose dargahs dot the landscape of Punjab region. The area subsequently came under various other Muslim rulers until finally becoming part of the Mughal Empire in 1526. 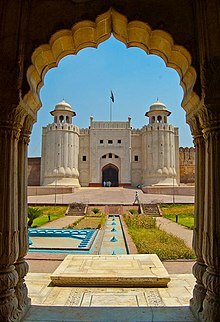 The Punjab region rose to significance in the Hindustani empire when Lahore became a seat for royal family in 1584, the legacy of which is seen today in its rich display of Mughal architecture. (southern) Multan Subah, bordering Kabul, Lahore, (Old) Delhi, Ajmer, Thatta (Sindh) subahs, the Persian Safavid empire and shortly Qandahar subah. Muslim soldiers, traders, architects, theologians and Sufis (Muslim mystics) came from the rest of the Muslim world to the Islamic Sultanate in South Asia. Swaths of what is now Punjab were annexed by the Afghan conqueror Ahmad Shah Durrani in 1747 as he made the Punjab a part of his Durrani Empire, lasting until 1762. In 1758 Raghunath Rao, the general of the Hindu Maratha Empire, conquered Lahore and Attock. Timur Shah Durrani, the son and viceroy of Duranni Monarch Ahmad Shah Abdali, was driven out of Punjab. Lahore, Multan, Dera Ghazi Khan, Kashmir and other subahs (ex-Mughal provinces) on the south and eastern side of Peshawar were under the Maratha rule for the most part. In Punjab and Kashmir, the Marathas were now major players. The Third Battle of Panipat took place on 1761, Ahmad Shah Abdali invaded the Maratha territory of Punjab and captured remnants of the Maratha Empire in Punjab and Kashmir regions and re-consolidated control over them. In the mid-fifteenth century, the religion of Sikhism was born. During the Mughal empire, many Hindus increasingly adopted Sikhism. These became a formidable military force against the Mughals and later against the Afghan Empire. After fighting Ahmad Shah Durrani in the later eighteenth century, the Sikhs took control of Punjab and managed to establish the Sikh Empire under the Jat ruler Maharaja Ranjit Singh, which lasted from 1799 to 1849. The capital of Ranjit Singh's empire was Lahore, and the empire also extended into Afghanistan and Kashmir. Bhangi Misl was the first Sikh band to conquer Lahore and other towns of Punjab. Syed Ahmad Barelvi a Muslim, waged jihad and attempted to create an Islamic state with strict enforcement of Islamic law. Syed Ahmad Barelvi in 1821 with many supporters and spent two years organising popular and material support for his Punjab campaign. He carefully developed a network of people through the length and breadth of India to collect funds and encourage volunteers, travelling widely throughout India attracting a following among pious Muslims. In December 1826 Sayyid Ahmad and his followers clashed with Sikh troops at Akora Khattak, but with no decisive result. In a major battle near the town of Balakot in 1831, Sayyid Ahmad and Shah Ismail Shaheed with volunteer Muslims were defeated by the professional Sikh Army. Maharaja Ranjit Singh's death in the summer of 1839 brought political chaos and the subsequent battles of succession and the bloody infighting between the factions at court weakened the state. Relationships with neighbouring British territories then broke down, starting the First Anglo-Sikh War; this led to a British official being resident in Lahore and the annexation in 1849 of territory south of the Satluj to British India. After the Second Anglo-Sikh War in 1849, the Sikh Empire became the last territory to be merged into British India. In Jhelum 35 British soldiers of the HM XXIV regiment were killed by the local resistance during the Indian Rebellion of 1857. In 1947 the Punjab province of British India was divided along religious lines into West Punjab and East Punjab. Western Punjab was assimilated into the new country of Pakistan, while East Punjab became a part of modern-day India. This led to massive rioting as both sides committed atrocities against fleeing refugees. The part of the Punjab now in Pakistan once formed a major region of British Punjab, and was home to a large minority population of Punjabi Sikhs and Hindus up to 1947 apart from the Muslim majority. Migration between Eastern and Western Punjab was continuous before independence. By the 1900s Western Punjab was predominantly Muslim and supported the Muslim League and Pakistan Movement. After independence, the minority Hindus and Sikhs migrated to India while Muslim refugees from India settled in the Western Punjab and across Pakistan, having fled pogroms that almost entirely depopulated Eastern Punjab of its Muslim population. Since the 1950s, Punjab industrialised rapidly. New factories were established in Lahore, Sargodha, Multan, Gujrat, Gujranwala, Sialkot, Wah and Rawal Pindi. Agriculture continues to be the largest sector of Punjab's economy. 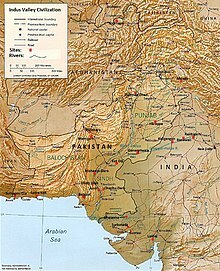 The province is the breadbasket of the country as well as home to the largest ethnic group in Pakistan, the Punjabis. Unlike neighbouring India, there was no large-scale redistribution of agricultural land. As a result, most rural areas are dominated by a small set of feudalistic land-owning families. In the 1950s there was tension between the eastern and western halves of Pakistan. To address the situation, a new formula resulted in the abolition of the province status for Punjab in 1955. It was merged into a single province West Pakistan. In 1972, after East Pakistan seceded and became Bangladesh, Punjab again became a province. Starting in the 1980s, large numbers of Punjabis migrated to the Middle East, Britain, Spain, Canada and the United States for economic opportunities, forming the large Punjabi diaspora, resulting in growing economic ties between Punjab and these countries. Punjab is Pakistan's second largest province by area after Balochistan with an area of 205,344 square kilometres (79,284 square miles). It occupies 25.8% of the total landmass of Pakistan. Punjab province is bordered by Sindh to the south, the province of Balochistan to the southwest, the province of Khyber Pakhtunkhwa to the west, and the Islamabad Capital Territory and Azad Kashmir in the north. Punjab borders Jammu and Kashmir in the north, and the Indian states of Punjab and Rajasthan to the east. The capital and largest city is Lahore which was the historical capital of the wider Punjab region. Other important cities include Faisalabad, Rawalpindi, Gujranwala, Sargodha, Multan, Sialkot, Bahawalpur, Gujrat, Sheikhupura, Jhelum and Sahiwal. The undivided Punjab region was home to six rivers, of which five flow through Pakistan's Punjab province. From west to east, the rivers are: the Indus, Jhelum, Beas, Chenab, Ravi and Sutlej. It is the nation's only province that touches every other province; it also surrounds the federal enclave of the national capital city at Islamabad. In the acronym P-A-K-I-S-T-A-N, the P is for Punjab. 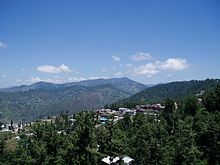 Punjab features mountainous terrain near the hill station of Murree. Punjab's landscape consists mostly consists of fertile alluvial plains of the Indus River and its four major tributaries in Pakistan, the Jhelum, Chenab, Ravi, and Sutlej rivers which traverse Punjab north to south – the fifth of the "five waters" of Punjab, the Beas River, lies exclusively in the Indian state of Punjab. The landscape is amongst the most heavily irrigated on earth and canals can be found throughout the province. Punjab also includes several mountainous regions, including the Sulaiman Mountains in the southwest part of the province, the Margalla Hills in the north near Islamabad, and the Salt Range which divides the most northerly portion of Punjab, the Pothohar Plateau, from the rest of the province. Sparse deserts can be found in southern Punjab near the border with Rajasthan and near the Sulaiman Range. Punjab also contains part of the Thal and Cholistan deserts. In the South, Punjab's elevation reaches 2,327 metres (7,635 ft) near the hill station of Fort Munro in Dera Ghazi Khan. Most areas in Punjab experience extreme weather with foggy winters, often accompanied by rain. By mid-February the temperature begins to rise; springtime weather continues until mid-April, when the summer heat sets in. The onset of the southwest monsoon is anticipated to reach Punjab by May, but since the early 1970s the weather pattern has been irregular. The spring monsoon has either skipped over the area or has caused it to rain so hard that floods have resulted. June and July are oppressively hot. Although official estimates rarely place the temperature above 46 °C, newspaper sources claim that it reaches 51 °C and regularly carry reports about people who have succumbed to the heat. Heat records were broken in Multan in June 1993, when the mercury was reported to have risen to 54 °C. In August the oppressive heat is punctuated by the rainy season, referred to as barsat, which brings relief in its wake. The hardest part of the summer is then over, but cooler weather does not come until late October. Recently the province experienced one of the coldest winters in the last 70 years. Punjab's region temperature ranges from −2° to 45 °C, but can reach 50 °C (122 °F) in summer and can touch down to −10 °C in winter. Hot weather (April to June) when temperature rises as high as 110 °F. Rainy season (July to September). Average rainfall annual ranges between 96 cm sub-mountain region and 46 cm in the plains. Cooler/ Foggy / mild weather (October to March). Temperature goes down as low as 40 °F. Weather extremes are notable from the hot and barren south to the cool hills of the north. The foothills of the Himalayas are found in the extreme north as well, and feature a much cooler and wetter climate, with snowfall common at higher altitudes. The province is home to over half the population of Pakistan. Punjabis are a heterogeneous group comprising different tribes, clans (Urdu: برادری‎) and communities. In Pakistani Punjab, non-tribal social distinctions are primarily based on traditional occupations such as blacksmiths or artisans, as opposed to rigid social stratifications. Punjab has the lowest poverty rates in Pakistan, although a divide is present between the northern and southern parts of the province. Sialkot District in the prosperous northern part of the province has a poverty rate of 5.63%, while Rajanpur District in the poorer south has a poverty rate of 60.05%. The major and native language spoken in the Punjab is Punjabi (which is written in a Shahmukhi script in Pakistan) and Punjabis comprise the largest ethnic group in country. Punjabi is the provincial language of Punjab, but is not given any official recognition in the Constitution of Pakistan at the national level. Saraiki is mostly spoken in south Punjab, and Pashto, spoken in some parts of north west Punjab, especially in Attock District and Mianwali District near Khyber Pakhtunkhwa province. The use of Urdu and English as the near exclusive languages of broadcasting, the public sector, and formal education have led some to fear that Punjabi in Pakistan is being relegated to a low-status language and that it is being denied an environment where it can flourish. Several prominent educational leaders, researchers, and social commentators have echoed the opinion that the intentional promotion of Urdu and the continued denial of any official sanction or recognition of the Punjabi language amounts to a process of "Urdu-isation" that is detrimental to the health of the Punjabi language In August 2015, the Pakistan Academy of Letters, International Writer's Council (IWC) and World Punjabi Congress (WPC) organised the Khawaja Farid Conference and demanded that a Punjabi-language university should be established in Lahore and that Punjabi language should be declared as the medium of instruction at the primary level. In September 2015, a case was filed in Supreme Court of Pakistan against Government of Punjab, Pakistan as it did not take any step to implement the Punjabi language in the province. Additionally, several thousand Punjabis gather in Lahore every year on International Mother Language Day. The population of Punjab (Pakistan) is estimated to be 96.82% Muslim with a Sunni Hanafi majority and Shia Ithna 'ashariyah minority. The largest non-Muslim minority is Christians and make up 2.6% of the population. The other minorities include Ahmadiyya, Hindus, Sikhs, Parsis and Bahá'í. The Government of Punjab is a provincial government in the federal structure of Pakistan, is based in Lahore, the capital of the Punjab Province. The Chief Minister of Punjab (CM) is elected by the Provincial Assembly of the Punjab to serve as the head of the provincial government in Punjab, Pakistan. The current Chief Minister is Sardar Usman Buzdaar He got elected as a result of 25 July 2018 elections. 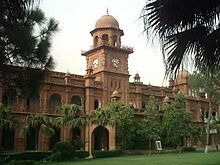 The Provincial Assembly of the Punjab is a unicameral legislature of elected representatives of the province of Punjab, which is located in Lahore in eastern Pakistan. The Assembly was established under Article 106 of the Constitution of Pakistan as having a total of 371 seats, with 66 seats reserved for women and eight reserved for non-Muslims. There are 48 departments in Punjab government. Each Department is headed by a Provincial Minister (Politician) and a Provincial Secretary (A civil servant of usually BPS-20 or BPS-21). All Ministers report to the Chief Minister, who is the Chief Executive. All Secretaries report to the Chief Secretary of Punjab, who is usually a BPS-22 Civil Servant. The Chief Secretary in turn reports to the Chief Minister. In addition to these departments, there are several Autonomous Bodies and Attached Departments that report directly to either the Secretaries or the Chief Secretary. When the divisions were restored as a tier of government in 2008, a tenth division – Sheikhupura Division – was created from part of Lahore Division. Punjab has the largest economy in Pakistan, contributing most to the national GDP. The province's economy has quadrupled since 1972. Its share of Pakistan's GDP was 54.7% in 2000 and 59% as of 2010. It is especially dominant in the service and agriculture sectors of Pakistan's economy. With its contribution ranging from 52.1% to 64.5% in the Service Sector and 56.1% to 61.5% in the agriculture sector. It is also major manpower contributor because it has largest pool of professionals and highly skilled (technically trained) manpower in Pakistan. It is also dominant in the manufacturing sector, though the dominance is not as huge, with historical contributions raging from a low of 44% to a high of 52.6%. In 2007, Punjab achieved a growth rate of 7.8% and during the period 2002–03 to 2007–08, its economy grew at a rate of between 7% to 8% per year. and during 2008–09 grew at 6% against the total GDP growth of Pakistan at 4%. 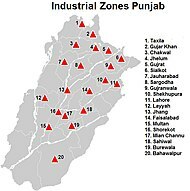 Despite the lack of a coastline, Punjab is the most industrialised province of Pakistan; its manufacturing industries produce textiles, sports goods, heavy machinery, electrical appliances, surgical instruments, vehicles, auto parts, metals, sugar mill plants, aircraft, cement, agricultural machinery, bicycles and rickshaws, floor coverings, and processed foods. In 2003, the province manufactured 90% of the paper and paper boards, 71% of the fertilizers, 69% of the sugar and 40% of the cement of Pakistan. Despite its tropical wet and dry climate, extensive irrigation makes it a rich agricultural region. Its canal-irrigation system established by the British is the largest in the world. Wheat and cotton are the largest crops. Other crops include rice, sugarcane, millet, corn, oilseeds, pulses, vegetables, and fruits such as kinoo. Livestock and poultry production are also important. Despite past animosities, the rural masses in Punjab's farms continue to use the Hindu calendar for planting and harvesting. Punjab contributes about 76% to annual food grain production in the country. Cotton and rice are important crops. They are the cash crops that contribute substantially to the national exchequer. Attaining self-sufficiency in agriculture has shifted the focus of the strategies towards small and medium farming, stress on barani areas, farms-to-market roads, electrification for tube-wells and control of water logging and salinity. Punjab has also more than 68 thousand industrial units. There are 39,033 small and cottage industrial units. The number of textile units is 14,820. The ginning industries are 6,778. There are 7,355 units for processing of agricultural raw materials including food and feed industries. Lahore and Gujranwala Divisions have the largest concentration of small light engineering units. The district of Sialkot excels in sports goods, surgical instruments and cutlery goods. Punjab is also a mineral-rich province with extensive mineral deposits of coal, iron, gas, petrol, rock salt (with the second largest salt mine in the world), dolomite, gypsum, and silica-sand. The Punjab Mineral Development Corporation is running over a hundred economically viable projects. Manufacturing includes machine products, cement, plastics, and various other goods. The incidence of poverty differs between the different regions of Punjab. With Northern and Central Punjab facing much lower levels of poverty than Western and Southern Punjab. Those living in Southern and Western Punjab are also a lot more dependent on agriculture due to lower levels of industrialisation in those regions. As of June 2012[update], Pakistan's electricity problems were so severe that violent riots were taking place across Punjab. According to protesters, load shedding was depriving the cities of electricity 20–22 hours a day, causing businesses to go bust and making living extremely hard. 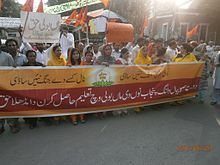 Gujranwala, Toba Tek Singh, Faisalabad, Sialkot, Bahawalnagar and communities across Khanewal District saw widespread rioting and violence on Sunday 17 June 2012, with the houses of several members of parliament being attacked as well as the offices of regional energy suppliers Fesco, Gepco and Mepco being ransacked or attacked. The literacy rate has increased greatly over the last 40 years (see the table below). Punjab has the highest Human Development Index out of all of Pakistan's provinces at 0.670. This is a chart of the education market of Punjab estimated by the government in 1998. Punjab has been the cradle of civilisation since times immemorial. The ruins of Harappa show an advanced urban culture that flourished over 8000 years ago. Ancient Taxila, another historic landmark also stands out as a proof of the achievements of the area in learning, arts and crafts. The ancient Hindu Katasraj temple and the Salt Range temples are regaining attention and much-needed repair. The structure of a mosque is simple and it expresses openness. Calligraphic inscriptions from the Quran decorate mosques and mausoleums in Punjab. The inscriptions on bricks and tiles of the mausoleum of Shah Rukn-e-Alam (1320 AD) at Multan are outstanding specimens of architectural calligraphy. The earliest existing building in South Asia with enamelled tile-work is the tomb of Shah Yusuf Gardezi (1150 AD) at Multan. A specimen of the sixteenth century tile-work at Lahore is the tomb of Sheikh Musa Ahangar, with its brilliant blue dome. The tile-work of Emperor Shah Jahan is of a richer and more elaborate nature. The pictured wall of Lahore Fort is the last line in the tile-work in the entire world. Religious fairs are held on special days of Islamic significance like Eid ul-Adha, Eid-ul-Fitr, Eid-e-Milad-un-Nabi, Shahb-e-Barat, Ashura, Laylat al-Qadr and Jumu'ah-tul-Wida. The main activities on these special occasions are confined to congregational prayers and rituals. Melas are also held to mark these occasions. The fairs held at the shrines of Sufi saints are called urs. They generally mark the death anniversary of the saint. On these occasions devotees assemble in large numbers and pay homage to the memory of the saint. Soul inspiring music is played and devotees dance in ecstasy. The music on these occasions is essentially folk and appealing. It forms a part of the folk music through mystic messages. The most important urs are: urs of Data Ganj Buksh at Lahore, urs of Sultan Bahu at Jhang, urs of Shah Jewna at Jhang, urs of Mian Mir at Lahore, urs of Baba Farid Ganj Shakar at Pakpattan, urs of Bahaudin Zakria at Multan, urs of Sakhi Sarwar Sultan at Dera Ghazi Khan, urs of Shah Hussain at Lahore, urs of Bulleh Shah at Kasur, urs of Imam Bari (Bari Shah Latif) at Rawalpindi-Islamabad and urs of Shah Inayat Qadri (the murrshad of Bulleh Shah) in Lahore. A big fair/mela is organised at Jandiala Sher Khan in district Sheikhupura on the mausoleum of Syed Waris Shah who is the most loved Sufi poet of Punjab due to his classic work, Heer Ranjha. The shrine of Heer Ranjha in Jhang is one of the most visited shrines in Punjab. Exhibitions and annual horse shows in all districts and a national horse and cattle show at Lahore are held with the official patronage. The national horse and cattle show at Lahore is the biggest festival where sports, exhibitions, and livestock competitions are held. It not only encourages and patronises agricultural products and livestock through the exhibitions of agricultural products and cattle but is also a colourful documentary on the rich cultural heritage of the province with its strong rural roots. Vaisakhi, also called Besakhi, is a harvest festival to celebrate harvesting the wheat crop. Colourful festivals are held at the time of Besakhi when farmers are free to enjoy their leisure time. Various literary festivals and fairs are organised in many places. Basant is a seasonal festival and is celebrated as a spring festival of kites. The day is marked by wearing yellow, eating food with yellow colouring such as potatoes with turmeric and saffron rice, and holding parties. The crafts in the Punjab are of two types: the crafts produced in the rural areas and the royal crafts. The province is home to several historical sites, including the Shalimar Gardens, the Lahore Fort, the Badshahi Mosque, the Rohtas Fort and the ruins of the ancient city of Harrapa. The Anarkali Market and Jahangir's Tomb are prominent in the city of Lahore as is the Lahore Museum, while the ancient city of Taxila in the northwest was once a major centre of Buddhist and Hindu influence. Several important Sikh shrines are in the province, including the birthplace of the first Guru, Guru Nanak. (born at Nankana Sahib). There are a few famous hill stations, including Murree, Bhurban, Patriata and Fort Munro. Katasraj Mandir is a Hindu temple complex situated in Katas village near Choa Saidanshah in the Chakwal district. Dedicated to Shiva, the temple has, according to Hindu legend, existed since the days of Mahābhārata and the Pandava brothers spent a substantial part of their exile at the site and later Krishna himself laid the foundation of this temple. The Khewra Salt Mine is a tourist attraction. Tours are accompanied by guides as the mine itself is very large and the complex interconnected passages are like a maze. There is a small but beautiful mosque inside the mine made from salt stone. A clinical ward with 20 beds was established in 2007 for the treatment of asthma and other respiratory diseases using salt therapy. Classical music forms, such as Pakistani classical music, are an important part of the cultural wealth of the Punjab. The Muslim musicians have contributed a large number of ragas to the repository of classical music. The most common instruments used are the tabla and harmonium. Among the Punjabi poets, the names of Sultan Bahu, Bulleh Shah, Mian Muhammad Baksh, and Waris Shah and folk singers like Inayat Hussain Bhatti and Tufail Niazi, Alam Lohar, Sain Marna, Mansoor Malangi, Allah Ditta Lonawala, Talib Hussain Dard, Attaullah Khan Essa Khailwi, Gamoo Tahliwala, Mamzoo Gha-lla, Akbar Jat, Arif Lohar, Ahmad Nawaz Cheena and Hamid Ali Bela are well-known. In the composition of classical ragas, there are such masters as Malika-i-Mauseequi (Queen of Music) Roshan Ara Begum, Ustad Amanat Ali Khan, Salamat Ali Khan and Ustad Fateh Ali Khan. Alam Lohar has made significant contributions to folklore and Punjabi literature, by being a very influential Punjabi folk singer from 1930 until 1979. For the popular taste however, light music, particularly Ghazals and folk songs, which have an appeal of their own, the names of Mehdi Hassan, Ghulam Ali, Nur Jehan, Malika Pukhraj, Farida Khanum, Roshen Ara Begum, and Nusrat Fateh Ali Khan are well-known. Folk songs and dances of the Punjab reflect a wide range of moods: the rains, sowing and harvesting seasons. Luddi, Bhangra and Sammi depict the joy of living. Love legends of Heer Ranjha, Mirza Sahiban, Sohni Mahenwal and Saiful Mulk are sung in different styles. For the most popular music from the region, bhangra, the names of Abrar-Ul-Haq, Arif Lohar, Attaullah Khan Essa Khailwi, Jawad Ahmed, Sajjad Ali, Legacy, and Malkoo are renowned. Folklore songs, ballads, epics and romances are generally written and sung in the various Punjabi dialects. There are a number of folk tales that are popular in different parts of the Punjab. These are the folk tales of Mirza Sahiban, Sayful Muluk, Yusuf Zulekha, Heer Ranjha, Sohni Mahiwal, Dulla Bhatti, and Sassi Punnun. The mystic folk songs include the Kafees of Khwaja Farid in Saraiki, Punjabi and the Shalooks by Baba Farid. They also include Baits, Dohas, Lohris, Sehra, and Jugni. The most famous of the romantic love songs are Mayhiah, Dhola and Boliyan. Punjabi romantic dances include Dharees, Dhamaal, Bhangra, Giddha, Dhola, and Sammi. One social/educational issue is the status of Punjabi language. According to Manzur Ejaz, "In Central Punjab, Punjabi is neither an official language of the province nor it is used as medium of education at any level. There are only two daily newspapers published in Punjabi in the Central areas of Punjab. Only a few monthly literary magazines constitute Punjabi press in Pakistan". List of Punjabi people: Some people who were born in area currently part of Punjab, Pakistan and migrated to India might exist in this list. 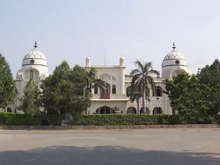 ^ "Provincial Assembly – Punjab". Archived from the original on 1 February 2009. ^ "The pulse of Pakistan's growing fashion industry". The National (UAE). 11 December 2013. Archived from the original on 17 August 2016. Retrieved 14 July 2016. ^ Malik, Abdul-Rehman. "Bollywood to Lollywood". The Guardian. Archived from the original on 26 August 2016. Retrieved 14 July 2016. ^ Beck, Roger B. (1999). World History: Patterns of Interaction. Evanston, IL: McDougal Littell. ISBN 0-395-87274-X. ^ Needham, Joseph (2004). Within the Four Seas: The Dialogue of East and West. Routledge. ISBN 0-415-36166-4. ^ Kulke, Hermann; Rothermund, Dietmar (2004). A History of India (4th ed.). Routledge. ISBN 0-415-32919-1. In the early centuries the centre of Buddhist scholarship was the University of Taxila. Kautilya was also a Professor of Politics and Economics at Taxila University. Taxila University is one of the oldest known universities in the world and it was the chief learning centre in ancient India. Thus the various centres of learning in different parts of the country became affiliated, as it were, to the educational centre, or the central university, of Taxila which exercised a kind of intellectual suzerainty over the wide world of letters in India. This shows that Taxila was a seat not of elementary, but higher, education, of colleges or a university as distinguished from schools. ^ Dalrymple, William (29 June 2015). "THE GREAT DIVIDE". The New Yorker. Archived from the original on 14 July 2016. Retrieved 14 July 2016. ^ a b c Farooqui, Tashkeel (20 June 2016). "Northern Punjab, urban Sindh people more prosperous than rest of country: report". The Express Tribune. Archived from the original on 24 July 2016. Retrieved 14 July 2016. ^ Islamabad Capital Territory is Pakistan's least impoverished administrative unit, but ICT is not a province. Azad Kashmir also has a rate of poverty lower than Punjab, but is not a province. ^ Arif, G. M. "Poverty Profile of Pakistan" (PDF). Benazir Income Support Programme. Government of Pakistan. Archived from the original (PDF) on 13 December 2016. Retrieved 14 July 2016. See Table 5, Page 12 "Sialkot District"
^ a b Arif, G. M. "Poverty Profile of Pakistan" (PDF). Benazir Income Support Programme. Government of Pakistan. Archived from the original (PDF) on 13 December 2016. Retrieved 14 July 2016. See Table 5, Page 12 "Rajanpur District"
^ Manzar, Zaidi (4 February 2013). "The 'other Punjab' is at the heart of Pakistani extremism". The National (UAE). Archived from the original on 17 August 2016. Retrieved 14 July 2016. ^ Gilmartin, David (1988). Empire and Islam: Punjab and the Making of Pakistan. University of California Press. pp. 40–41. ^ Macauliffe, Max Arthur (2004) . The Sikh Religion — Its Gurus, Sacred Writings and Authors. India: Low Price Publications. ISBN 81-86142-31-2. ^ Malik, Iftikhar Haider (2008). The History of Pakistan. Greenwood Publishing Group. ^ "Katas Raj Temples". Temple Darshan. Archived from the original on 18 August 2016. Retrieved 14 July 2016. ^ "Properties inscribed on the World Heritage List (Pakistan)". UNESCO. UNESCO. Archived from the original on 4 July 2016. Retrieved 14 July 2016. ^ Manmohan Singh, H. K. "Punjab". Encyclopaedia of Sikhism. Punjabi University Patiala. Archived from the original on 29 July 2017. Retrieved 15 May 2016. ^ Singh, Pritam (2008). Federalism, Nationalism and Development: India and the Punjab Economy. London; New York: Routledge. p. 3. ISBN 0-415-45666-5. Archived from the original on 28 January 2016. ^ Newspaper, From the (31 March 2012). "Soan River — witness to rise and fall of many civilisations". DAWN.COM. Retrieved 25 November 2018. ^ Gazetteer of the Bombay Presidency ... Archived from the original on 10 June 2016. Retrieved 22 April 2015. ^ McGregor, R. Stuart (1984). A History of Indian Literature: Hindi Literature from its Beginning to the Nineteenth Century. Vol.8, Fasc. 6. Archived 8 March 2017 at the Wayback Machine p. 03. "Gurjara-Pratihara empire, comprising the territories stretching between Bihar, the Panjab and Kathiawar, was the last great pre-Muslim empire of north India." ^ Gokhale, B. Govind (1995). Ancient India: History and Culture. Archived 8 March 2017 at the Wayback Machine p. 84. "The Gurjara-Pratiharas became an imperial power controlling Eastern Punjab, Rajasthan, Uttar Pradesh and parts of Madhya Pradesh and Saurashtra." ^ "Bhardwaj, A.P. (2010). Study Package for CLAT (Common Law Admission Test) & LL.B. Entrance Examinations (PU, DU, KU, HPU, AIL, Pbi. Univ, GNDU, Symbiosis) Archived 8 March 2017 at the Wayback Machine. p. B19. "1. They are also called Gurjara-Pratihara. 2. They established their sway over Punjab, Malwas and Broach." ^ Allchin, Bridget; Allchin, Raymond (29 July 1982). The Rise of Civilization in India and Pakistan. Cambridge University Press. ISBN 9780521285506. ^ a b "Rigveda 1.126:7, English translation by Ralph TH Griffith". Archived from the original on 25 March 2010. ^ Macdonell, Arthur Anthony (29 December 2017). "A History of Sanskrit Literature". Motilal Banarsidass. Archived from the original on 8 February 2018 – via Google Books. ^ "The Punjab Moving Journeys Part One" (PDF). Archived (PDF) from the original on 8 October 2013. Retrieved 8 July 2017. ^ "The History of Afghanistan". Archived from the original on 8 March 2017. Retrieved 20 March 2015. ^ Advanced Study in the History of Modern India: 1707 – 1813 – Jaswant Lal Mehta – Google Books Archived 23 June 2016 at the Wayback Machine. Books.google.co.in. Retrieved on 12 July 2013. ^ Dube, I. &. S. (2009). From ancient to modern: Religion, power, and community in India hardcover. Oxford University Press. ^ a b "Punjab". Small and Medium Enterprises Development Authority. Archived from the original on 25 June 2016. Retrieved 14 July 2016. ^ Choudhary Rahmat Ali (28 January 1933). "Now or Never. Are we to live or perish forever?". —. Archived from the original on 30 June 2008. Retrieved 6 October 2014. ^ S. M. Ikram (1 January 1995). Indian Muslims and partition of India. Atlantic Publishers & Dist. pp. 177–. ISBN 978-81-7156-374-6. Archived from the original on 21 May 2013. Retrieved 23 December 2011. ^ "Mercury drops to freezing point – Dawn Pakistan". ^ The figures for 1998 are from pop by province – statpak.gov.pk[dead link]. The estimates for 2012 are from Population shoots up by 47 percent since 1998 Archived 1 July 2012 at the Wayback Machine. Thenews.com.pk. Retrieved on 12 July 2013. ^ "Percentage Distribution of Households by Language Usually Spoken and Region/Province, 1998 Census" (PDF). Pakistan Statistical Year Book 2008. Federal Bureau of Statistics – Government of Pakistan. Archived (PDF) from the original on 5 February 2016. Retrieved 2 February 2016. ^ "Saraiki, a Language of Pakistan". Ethnologue. Archived from the original on 24 September 2015. Retrieved 25 September 2015. ^ (in English) Internet Edition, Dawn Newspaper. "Nankana becomes district". Archived from the original on 1 October 2005. Retrieved 14 April 2006. No data is yet available on the recently created district of Nankana. ^ "Pakistan: Largest cities and towns and statistics of their population". Archived from the original on 17 October 2013. Retrieved 10 February 2011. ^ "The News International: Latest, Breaking, Pakistan, Sports and Video News". Retrieved 22 April 2015. ^ "Punjab Gateway" (PDF). Archived from the original (PDF) on 5 July 2007. ^ ceo@cybercity-online.net, ZAHID IKRAM. "Industrial Zone Punjab, Pakistan". www.findpk.com. Archived from the original on 11 July 2011. ^ "Another day of outrage at outages across Punjab". Dawn. Karachi, Pakistan. 18 June 2012. Archived from the original on 18 June 2012. Retrieved 18 June 2012. ^ "Education woes: Pakistan misses UN target with 58% literacy rate". Express Tribune. 5 June 2015. Archived from the original on 25 July 2016. Retrieved 15 July 2016. ^ "Pakistan: where and who are the world's illiterates? ; Background paper for the Education for all global monitoring report 2006: literacy for life; 2005" (PDF). Archived (PDF) from the original on 23 December 2009. ^ "Rural women uphold Pakistan's literacy rate". The Express Tribune. 15 February 2011. Archived from the original on 15 October 2014. Retrieved 22 April 2015. ^ Kalim, M. Siddiq (29 December 2017). "As memories come". Ferozsons. Archived from the original on 29 December 2017 – via Google Books. ^ "A fair dedicated to animal lovers". 20 April 2009. Archived from the original on 12 April 2017. ^ "Salt mine resort for asthma patients". Dawn. 27 March 2007. Retrieved 14 April 2012. ^ Shahzad, Khurram (26 March 2010). "Asthma treatment in Pakistani salt mine". The Telegraph. Archived from the original on 10 July 2012. Retrieved 6 April 2012. ^ "punjabilok.com". Archived from the original on 20 September 2008. Retrieved 22 April 2015. ^ Sarah Veach, Katy Williamson, Punjabi Culture and Language Manual Archived 4 March 2016 at the Wayback Machine (archived), Texas State University, p. 6, retrieved 2016-05-14.